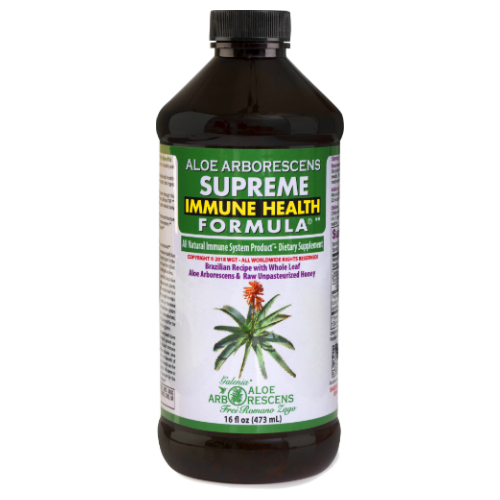 Independent laboratory data show that the Aloe arborescens juice used in this product contains molecules that possess the highest immunomodulatory activity. The full complement of polysaccharides and other phytonutrients associated with the complete phytotherapeutic health properties is also present to assist in achieving maximum health benefits. (Private Research Test on file of constituents of Aloe arborescens whole leaf juice conducted by U. S. Aloe Research Laboratory.) The science behind the vast series of compounds in this miraculous botanical that supports health and longevity can be found in a bibliography of scientific research below. Attention: The following information is taken from research studies that were performed completely independent of Aloe Deca US and its affiliates. No medical claims are being made by AloeProductsCenter.com, Aloe Deca US, or its affiliates. A few of the studies below include research done using Aloe Vera. It has been scientifically shown that Aloe Arborescens contains all of the same health properties as Aloe Vera and more, and that Aloe Arborescens naturally has higher concentrations of these healthy compounds. Each collapsible section is the title of the study with a quote from the research findings and a link to the official publication. Insofar as any of these studies refer to medical conditions, we do not adopt such reference and include this information for the nutrient benefits demonstrated only. Click here to open a pdf version of the research publication.